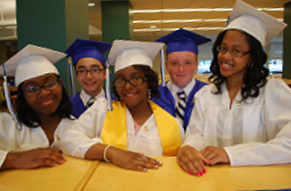 Pope John Paul II Catholic Academy is an elementary Pre-K through Grade 8 school, located on multiple campuses in the Dorchester and Mattapan neighborhoods of the City of Boston, that dynamically prepares children for life in the 21st century. A stimulating and robust curriculum, enlightened by Catholic teaching, offers all our students an excellent education in a faith-filled and supportive environment. Our Academy strives to create an atmosphere where the Gospel message is proclaimed, community in Christ is experienced, service to our brothers and sisters is the norm and thanksgiving and worship of God is reverently and joyfully celebrated. 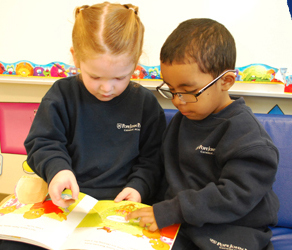 Pope John Paul II Catholic Academy encourages students to grow in faith and knowledge in a safe, nurturing, structured, and culturally diverse environment. Our challenging and rich academic and fine arts curriculum helps our students to develop the essential skills to become productive, responsible global citizens and positive young men and women who possess a love of God, of learning, and of service to others. Pope John Paul II Catholic Academy accepts applications all year round. To apply for the current school year, contact the Regional Office or the campus of your choice at 617-265-0019!